A BUBBLING CAULDRON: Is Newport Beach Really Prepared For A Tsunami? I recently received an email from a woman living on the Balboa Peninsula who expressed concern about the potential for damage to that area by a tsunami. Apparently, her young son cannot sleep because he worries about a tsunami occurring and not being able to escape. In a subsequent exchange of emails she confirmed that she wrote to me because of the piece I wrote in the fall of 2005 entitled, "The Big One - Fiction Or Prediction?" on the earlier version of this web site. That piece addressed the probable damage from a major earthquake along the Newport-Inglewood Fault - which runs directly under Newport Harbor - but contained some thoughts about a subsequent, locally generated tsunami, too. I understand the boy's apprehension. When I was a kid growing up in Los Angeles we had frequent "drop drills" in anticipation of a nuclear attack and there were monthly tests of the "emergency warning system" - a city-wide system of sirens to alert the populace of their potential annihilation from a nuclear strike. None of those things made me feel "safe" - I was petrified at the thought of being incinerated by an atomic bomb. With the devastation caused by Hurricane's Katrina and Rita in 2005 and the 2004 tsunami in the Indian Ocean, all of us have a heightened awareness of potential natural disasters. Along the Oregon coast there are signs posted in low-lying areas which direct travelers to routes to higher ground in the event of a tsunami. There is also a system of warning sirens for such alerts. As I drove that area on vacation last year I found myself wondering just how effective those preparations would be. I did keep looking for those signs, though - just in case. In doing research on this subject I find no record of a tsunami ever hitting the coast in Newport Beach, nor any Orange County beaches, for that matter. Chances are slim that one would ever strike this section of coast, but that doesn't mean there shouldn't be a plan in place. Recent local news articles tell us that the federal agency National Oceanic and Atmospheric Administration (NOAA) has recently deemed Newport Beach to be "tsunami ready", joining Dana Point and Huntington Beach. That would imply that all systems are in place in the event of such a disaster. So, I went to the Newport Beach web site to find out what they've done. What I found was not very encouraging. On their site, under the "Disaster Preparedness" page, I scrolled down to the section entitled "Tsunami Safety Information", looking for information and comfort. I must say that I came away from that experience disappointed. On that page readers are encouraged to turn on the radio or watch local television if you feel an earthquake, which they quaintly call "a natural tsunami warning". They are also told that, in the event of an earthquake, they should leave the beach and low-lying coastal areas. Well, duh! No kidding! Among the most profound instructions is to "make sure your teenagers don't go to the beach" during a tsunami warning. Is that the best they can do? Subsequently, I dug deeper and found a link to their Emergency Management Plan and, buried on pages 91-93 of the 171 page PDF document are more details about their plans to try to insure the safety of residents and visitors in case of a tsunami. I wrote back to this distraught woman and advised her to contact City Manager Homer Bludau, 644-3000, and ask him about the specifics of the city's plan in the event of a tsunami warning. How will residents and visitors be notified? Do they plan to block inbound lanes for use by outbound traffic? What about plans for the children at Newport Elementary School, which sits on the sand on the peninsula? Does the school district have a plan for their survival? If I were one of the roughly 20% of Newport Beach residents who live in an area potentially threatened by a tsunami I'd be on the telephone to my officials demanding information about their preparedness. I'd want to know the details of their plan, so I could also be prepared to help implement it so my neighbors and I actually had a chance to evacuate and survive. If I had children in Newport Elementary School I'd want to know the contingency plans for them. 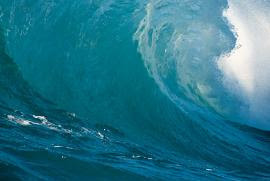 I made a few telephone calls and found the woman in charge of managing the tsunami preparedness plan for Newport Beach. She told me that a workshop will be held at the City Council Chambers at City Hall on Tuesday, January 16, 2007 at 6 p.m. at which time informational flyers will be distributed and questions answered for any residents or other concerned parties who choose to attend. Based on what I know of Newport Beach's plan now, there is one glaring deficiency - notification of an impending tsunami. Dana Point has a system of sirens and loudspeakers to notify residents and visitors of an impending tsunami, plus clearly marked evacuation routes. Their plan can be viewed here. Newport Beach has signs in place, and has evacuation routes plotted, but apparently intends to use emergency vehicle loudspeakers and those on the jointly-owned helicopter to make audible notification to folks in threatened areas. To me, this seems inadequate and is a significant problem - even if the possibility of a tsunami hitting their beaches is quite remote. To those of you concerned about this issue, I recommend attending the meeting mentioned above and get some answers for yourselves.